Intel hosted ‘Intel Data-Centric Press Workshop’ at Intel Jones Farm Campus in Hillsboro, Oregon, US on March 5 and 6, and introduced Intel's portfolio of solutions for the data-centric era. 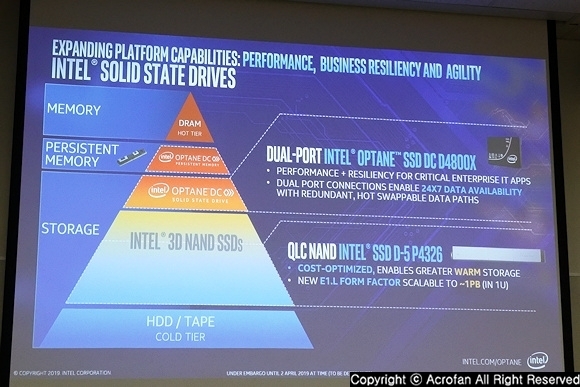 At the workshop, the technical characteristics of the next generation processors and platforms including Next-Gen Xeon Scalable Processors and Optane DC Persistent Memory were introduced. Changes in IT technology, from IoT, cloud to 5G and artificial intelligence, are creating trends of explosive data growth, and the ability to handle this data is being linked to competitiveness. In addition, transition to cloud computing, increase of the use of AI and analysis, and cloudification of network and edge are driving the demand for change of IT infrastructure. Intel expects to have the largest market opportunity ever in this data-centric era, with a total size of $200 billion. Therefore, Intel introduced plans to offer software and system-level optimized solutions that can process everything, store more, and move faster to prepare for this market. As a new portfolio for the data-centric era, Intel introduced the second-generation Xeon Scalable Processors, a new Xeon D-1600 processor, Agilex FPGA, Optane DC Persistent Memory, Optane DC SSD, QLC 3D NAND-based DC series SSD, and 800 series Ethernet adapter. The new Xeon Scalable Processors, Optane DC Persistent Memory, Optane DC SSD, and Ethernet technologies are expected to provide superior performance and efficiency in a variety of workloads through being tightly coupled in a system-level and optimization of software levels. What’s more, these innovations will be available faster through ‘Intel Select Solutions’ with a proven, optimized configuration. ▲ Lisa Spelman, Vice President of Data Center Group and General Manager of Intel Xeon Processors and Data Center Marketing at Intel Corp.
▲ Intel is leading innovations in all of various solutions for data-centric era. Lisa Spelman, Vice President of Data Center Group and General Manager of Intel Xeon Processors and Data Center Marketing at Intel Corp., introduced the prospect of the recent data growth that the data, which was about 33ZB in 2018, will grow by an average of 25% per year, reaching 175ZB in 2025. She also said that the extension of data center area up to the edge-level is one of the important trends. 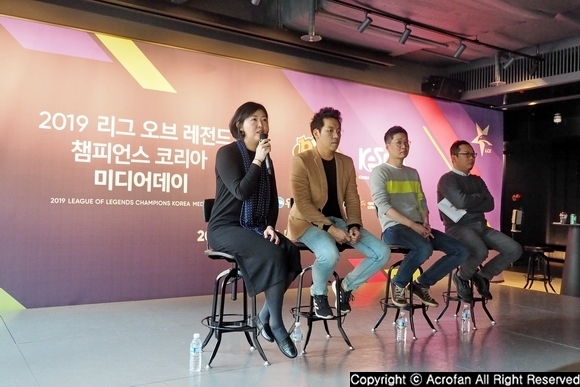 In terms of growth trends in real-time applications, she stated that they will account for about 30% of the data produced in 2025, with more than 150 billion connected devices running by 2025. As major drivers of these changes, (1) move to cloud computing, (2) growth of AI and analytics and (3) cloudification of the network and edge were mentioned. And in a series of infrastructure configurations ranging from devices to edge, core, data center and cloud, Intel has a 10nm-based ‘Snow Ridge’ for edge, ‘Xeon D’ for cores, and also Xeon processors and FPGA portfolio for data center and cloud. In particular, in the case of edge infrastructures, the model of classifying, processing the data generated by the device on the edge and moving it to the data center became popular. Also, there are many other ways of using such as implementing 5G or AI at the edge level. As for the six pillars of innovation, Lisa Spelman pointed out (1) Process, (2) Architecture, (3) Memory, (4) Interconnect, (5) Security, and (6) Software. 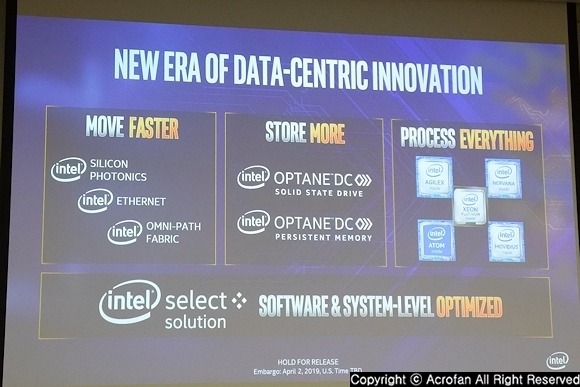 In addition, the components for a new data-centric innovation include processing everything through the processors and FPGA, storing more with Optane technologies and others, and moving faster through Silicon Photonics, Omni-Path Fabric, and Ethernet. She highlighted that these values can be offered in an optimized form at the software and system-level through ‘Intel Select Solutions’. 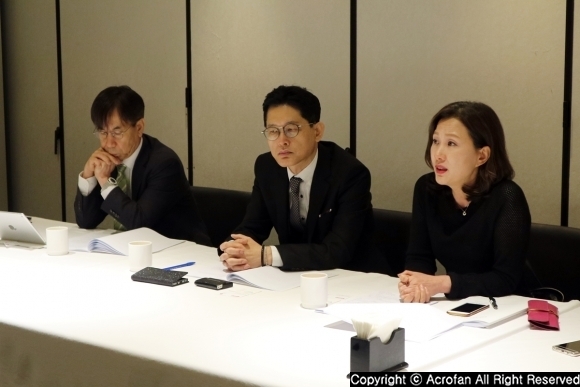 On top of that, she stated that in the data-centric era in the future, the four markets including data center, non-volatile memory, IoT & ADAS and FPGA have faced unprecedented opportunities in history, and the rapid change of the markets into new products are expected. 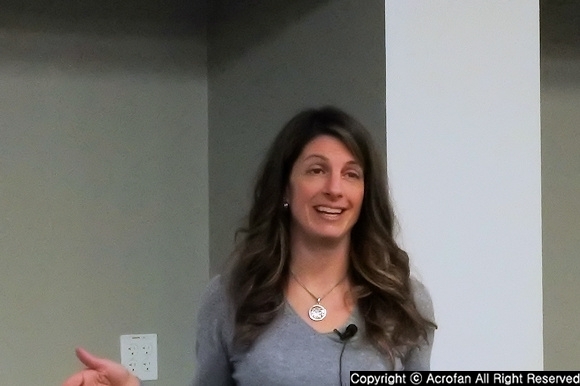 ▲ Jennifer Huffstetler, Vice President of Data Center Group and General Manager of Datacenter Product Marketing and Storage at Intel Corp.
▲ The second-generation Xeon Scalable Processors showed some significant changes over the previous generation. 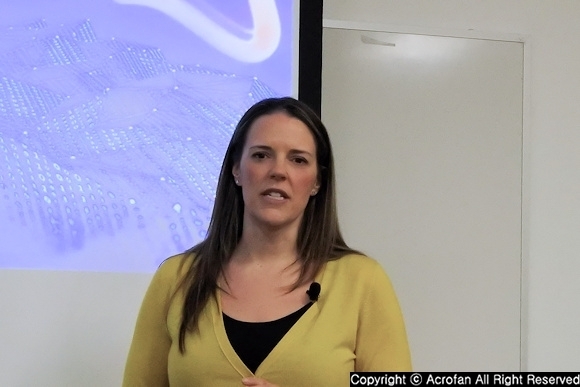 Jennifer Huffstetler, Vice President of Data Center Group and General Manager of Datacenter Product Marketing and Storage at Intel Corp., introduced Intel's new product portfolio for the data-centric era. As the common challenges in cloud service providers, communication service providers, and enterprise environment, she explained the implementation of infrastructure that is more secure and can rapidly respond to various changes, handle data more easily, and manage large-scales more efficiently. And she pointed out that 90% of the existing data is generated in the last two years, but only about 2% of the data is actually utilized. 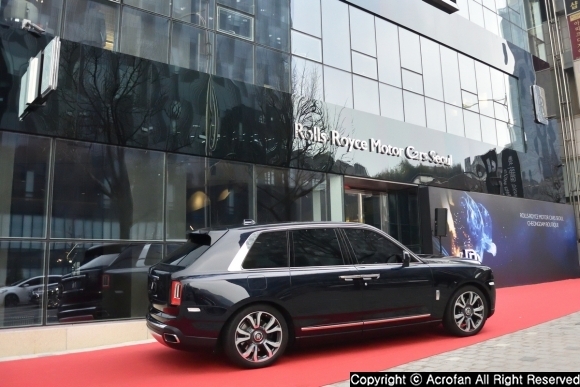 As for the requirements for data-centric era, she mentioned propelling insights through workload accelerated performance, business resilience through hardware-enhanced security, and agile service delivery through cloud-scale orchestration. 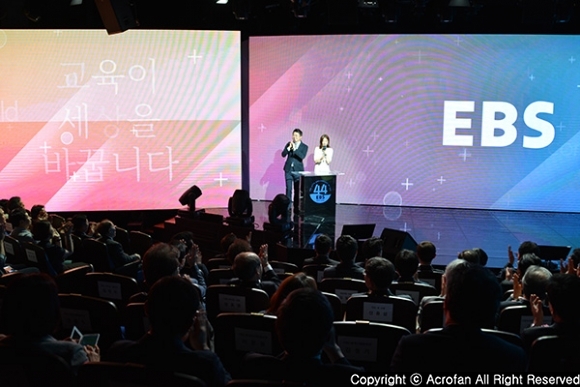 Moreover, she introduced new products for accelerating data-centric transformation; the second-generation Xeon Scalable Processors, new Xeon D-1600 Processor, new Agilex FPGA, Optane DC Persistent Memory, Optane DC SSD, QLC 3D NAND-based DC series SSD product, Intel 800 series Ethernet, and more expanded ‘Intel Select Solutions’. 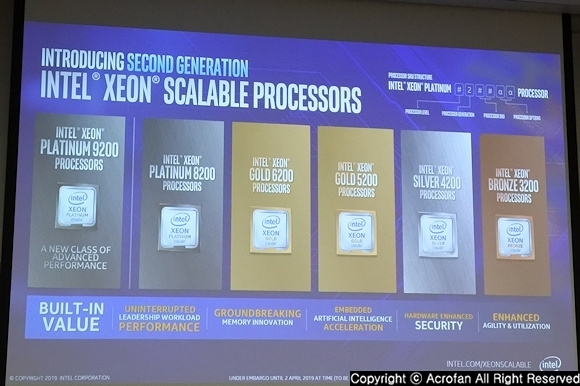 The second-generation Xeon Scalable Processors, codenamed "Cascade Lake," are available in platinum 9200, 8200, gold 6200, 5200, silver 4200 and bronze 3200. The features in this family include enhanced memory scalability through Optane DC Persistent Memory support as well as improved performance, DL Boost capability that can significantly improve AI inference performance, advanced system management and operational technologies, and enhanced hardware-based security Technology. In particular, the second-generation Xeon scalable Processors have a hardware-wise countermeasure for processor security problems found in the previous generation architectures. ▲ The flagship of this generation is Xeon Platinum 9200 series processors with up to 56 cores. ▲ The second-generation Xeon Scalable Processors showed significant performance improvements over previous generations. The new Xeon Platinum 9200 series processors have two dies in a single processor package, enabling high-density configurations of up to 56 cores per processor and 112 cores with maximum two processors. The processor is optimized for HPC, AI, analytics, and high-density infrastructure configurations, providing up to twice the compute density and up to 3TB of memory when configuring two processors. The product family will be composed of 9282 of 56 cores, 9242 of 48 cores, 9222 of 32 cores, and packaged together with motherboard. The second-generation Xeon Scalable Processors provide up to 8-socket glueless connectivity. With additional socket configurations, they could support socket configurations more than that and provide up to 4.4GHz turbo boost clock speed. 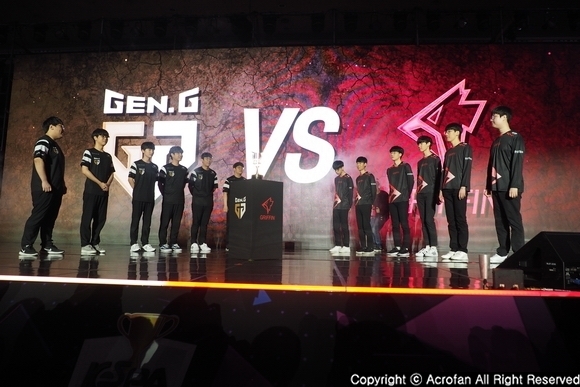 In terms of memory, they support 16 Gb memory with support for DDR4-2933, which maximum memory capacity can be supported became doubled over previous generations and higher performance than the previous generations. With Optane DC persistent memory, the system memory can be expanded up to 36TB in an 8-socket configuration. 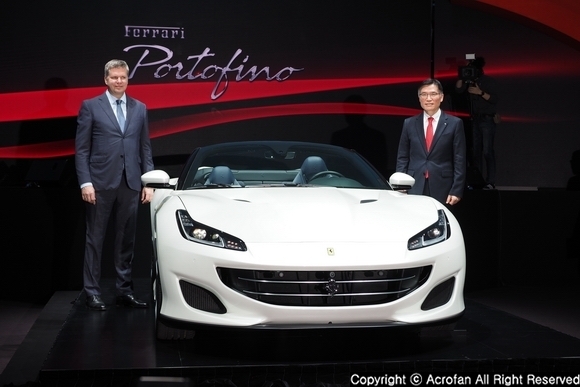 On top of that, the processor can show up to 1.33 times the average performance of the previous generation and 3.5 times better performance than that of the system five years ago. What’s more, AI performance with DL Boost technology provides 14 times better performance than that of the early release period of previous generation. In the security area, the second-generation Xeon Scalable Processors have been improved with hardware-leveled countermeasures to kwon weaknesses such as Meltdown, Spectre, and so on. In addition, in terms of encryption acceleration, QuickAssist technology or AVX-512 is used to provide high processing performance, and Optane DC Persistent Memory also utilizes encryption in module units. In addition, a secure operating environment will be provided through a new threat detection technology, trusted execution technology (TXT), or cloud integrity technology. ▲ DL Boost provides more than twice as much AI inference performance as previous generations. 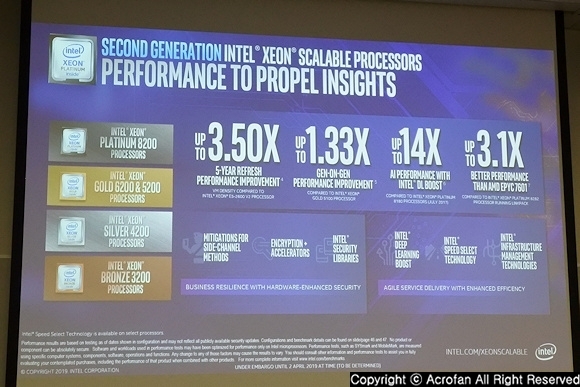 As a technology for high-efficiency and agile service delivery environments, Intel introduced DL Boost, which shows more than double the AI inference performance of the previous generation and 14 times the performance compared to the initial release of previous generation Xeon Scalable Processor. Vector Neural Network Instruction (VNNI) based on AVX-512 enables to process the inference operation which took three cycles so far in one cycle, so it performs theoretically up to 3 times. In addition, the second-generation Xeon Scalable Processors and platforms feature a workload-specific product family optimized for the type of workload and also showcase technologies that maximize them. Workload specialized processors with 'Speed Select' technology are identified by 'Y' in the model name, and you can select one of up to three processor configuration presets. This allows you to optimize the processor's operating speed and number of cores, depending on the situation. In addition, there are 'V' series specialized for VM density value and ‘S’ series specialized for search applications. The second-generation Xeon Scalable Processors specialized for NFV (Network Function Virtualization) environment is classified as an 'N' series. Intel Speed Select technology is applied for the series to provide more service capacity and to maximize the performance by assigning specific tasks to specific cores driven at high operating speed depending on workload characteristics. Besides, the 'T' series specialized for IoT and networking features low power, low heat generation and long term use environment. 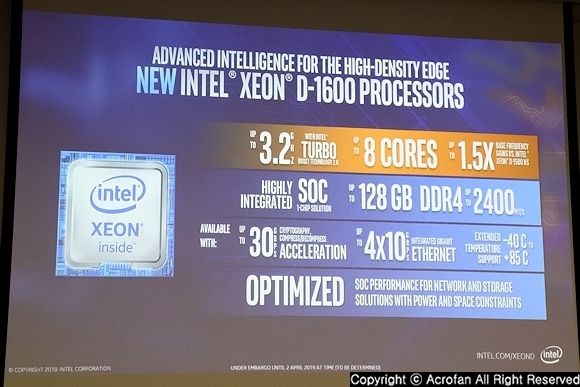 The Xeon D-1600 Processors for edge infrastructures has up to eight cores and a turbo boost operating speed of 3.2GHz and a 1.5x improvement in the base frequency improvement compared to the Xeon D-1500 Processor. It is a one-chip SoC solution with various components integrated, with maximum 30Gbps throughput of encryption, compression and decompression acceleration function, and four 10Gbps Ethernet interfaces. 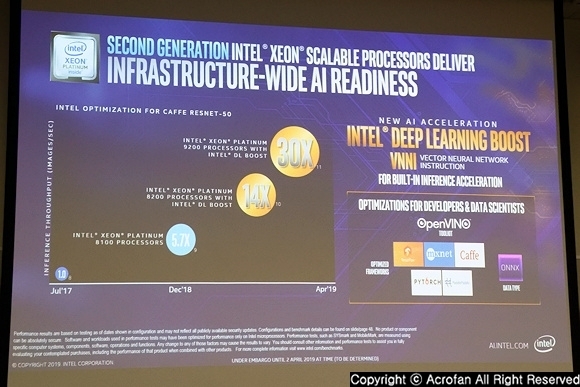 In addition, Intel's new Agilex FPGAs support cache-coherent connectivity with Intel Xeon Processor, enabling more processor-intensive accelerators than traditional PCIe-based FPGA connections. ▲ Application Device Queues (ADQ) of the Intel Ethernet 800 series greatly improves the latency and throughput of the network. 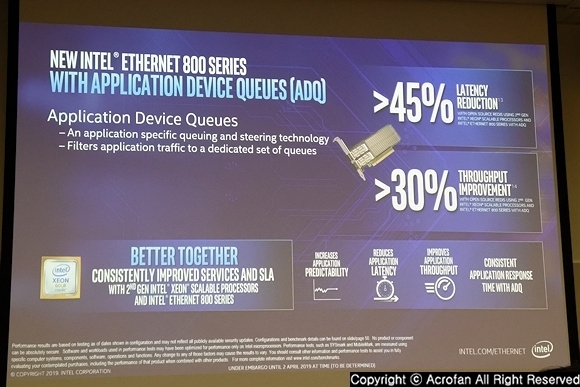 Known as the codename, "Columbiaville", in the network connection, the Intel Ethernet 800 series has a complete programmable pipeline that was implemented partially in the existing 700 series, with the new function, Application Device Queues (ADQ). ADQ is a way to prioritize packet workloads and hardware-wise control them, allowing for more sophisticated QoS compliance and reducing application network latency by 45% and more than 30% of throughput performance improvement. Furthermore, consistent and predictable application response rates can be achieved. In the memory and storage strategy, the plan to newly establish the balance between performance and cost by configuring the gap between DRAM and cold data with Optane DC Persistent Memory, Optane DC SSD, and a QLC 3D NAND-based SSD. As Optane DC Persistent Memory, which is officially supported from the second-generation Xeon Scalable Processors, can be utilized as DRAM expansion or high-speed storage of DRAM class according to the usage method, it is expected to suggest greater possibilities in large-scale VM operations and in-memory analysis. The storage tier provides high availability and resiliency for mission-critical applications and high performance through Optane SSD DC D4800X with dual port interface at hot storage where frequently used data is stored. Moreover, the SSD D5-P4326 based on QLC 3D NAND was mentioned in terms of a cost-effective warm storage level to accommodate increasingly rapid data generation. This SSD uses the E1.L form factor scalable up to 1TB in 1U, so a high density and high capacity storage can be obtained relatively cost-effectively. 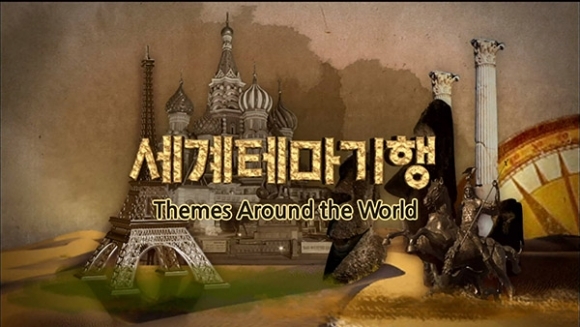 ▲ The portfolio of ‘Intel Select Solutions’ has also become more diverse. Meanwhile, Intel is offering software and system-level optimized environments to maximize capabilities of processors and platforms. As for the optimized software among them, they provide support across the development environment ranging from the libraries including Math Kernel Library (MKL) and Machine Learning Scalable (MLS) to optimized AI frameworks, parallel programming framework, compilers, profiling tools, and tool suites. 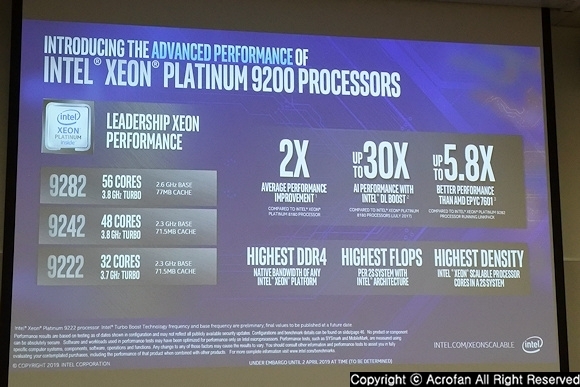 In terms of system-level optimized platforms, S9200WK product family for Xeon Platinum 9200, and S2600WFxR, BxR and STxR server systems for the second-generation Xeon Scalable Platform were introduced. As for the support for a highly secure data center environment, security libraries for the data center were introduced. The new features that can be used with second-generation Xeon Scalable Processors include Threat Detection, which uses machine learning and CPU telemetry to detect advanced threats. What’s more, SGX card was introduced as a new option for cloud service providers to simply implement Software Guard Extensions (SGX) environments. It is a PCIe-type card mounted on a general-purpose server based on the second-generation Xeon Scalable Processors, and it can replace the existing SGX server 12 nodes thereby greatly increasing the service density in a secure cloud service. 'Intel Select Solutions' is already proven to reduce the time, effort and cost of deploying, optimizing and verifying the introduction and transition of a new IT environment, allowing you to reduce the time it takes to create value. 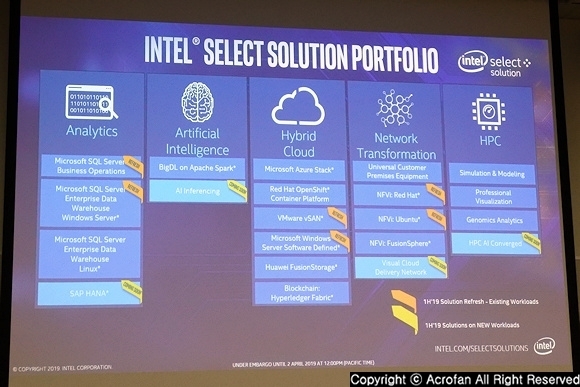 The portfolio of ‘Intel Select solutions’ with multiple key ISV/OSV partners, system OEM partners and scale partners will include solutions such as SAP HANA, AI Inference, Visual Cloud Delivery Network and HPC AI Converged in the first half of 2019. The existing MS SQL Server Business Operations, MS SQL Enterprise Data Warehouse, VMware vSAN, MS Windows Server Software Definition, Red Hat and Ubuntu based NFVi will be refreshing soon.